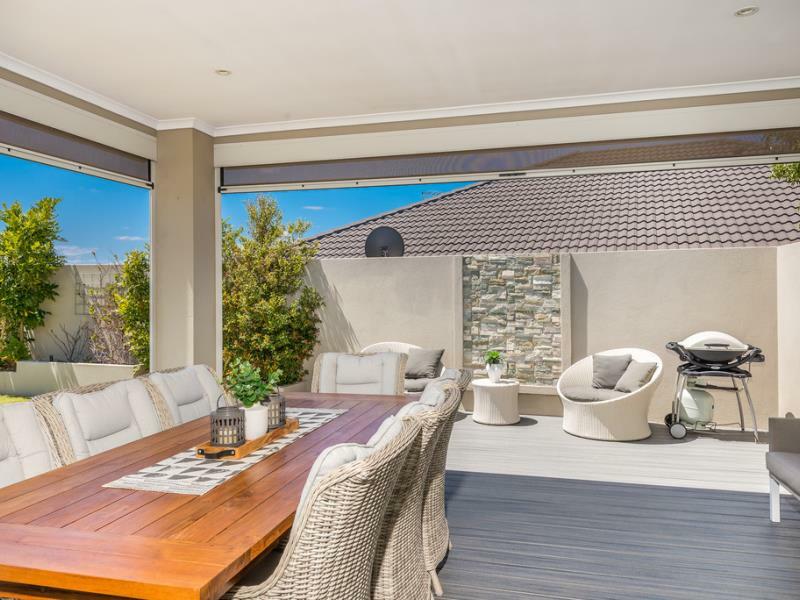 This gorgeous home is located on a quiet street in a prestigious location, surrounded by other quality up market homes. This cleverly designed, one size fits all home is perfect for young families, a house full of teens or down sizers looking for a low maintenance property offering the lock up and go lifestyle of the frequent flyers. Double glass doors lead into a wide entry, the recessed ceiling adds to the spacious feel and a doorway to the right takes you into the large master bedroom with an impressive walk in robe. The en-suite boasts a separate bath and shower, double vanity, plenty of cupboard space and a private w/c. From the hallway, through double French doors is the main open plan living area. 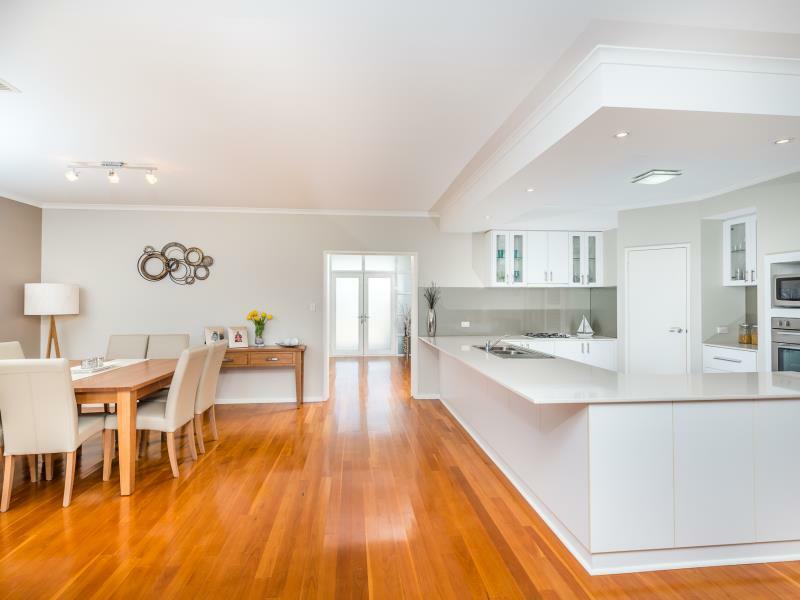 A spacious dining area, sitting room and perfectly appointed kitchen is the central hub of the home. Beautiful stone bench tops adorn the breakfast bar, plenty of cupboard space, good sized pantry and space for a plumbed in double door fridge. The ample media room which is wired for surround sound, is through another set of double French doors, tucked away from the rest of the house making movie nights a pleasure. A separate wing houses 3 queen sized, light and airy bedrooms, all with walk in robes, a huge linen / store room and an efficient laundry with sliders out to the courtyard. The family bathroom is enormous and a separate w/c with vanity is so convenient for family living. The activity room / study is an inviting space with a contemporary gas fireplace and offers a built-in desk, shelves and storage. An exquisite alfresco is accessed through the double door sliders from the main living area, the no-maintenance composite deck is vast with enough space for outdoor dining and lounge with retractable screens keeping the sun and weather at bay. A generous size shed is situated at the back of the property as well as a tremendous outside room that would make the perfect teen retreat, gym, home business or potentially a granny flat if so desired. The front and back manicured gardens are grassed with feature planter boxes and enhanced with exposed aggregate paving. There is more than enough space for a swimming pool should you desire. This house can't put a foot wrong! •	Beautiful and neutral dcor throughout with quality fixtures. •	The media room and 2 bedrooms facing the back have security roller shutters. •	3 zone reverse cycle aircon including the outdoor room. •	Solid hardwood floors to main living areas. •	Stylish venetian blinds to all bedrooms, bathrooms, media room and activity area / study. •	Double garage with extra storage / work area with a single door accessing the backyard and a shopper's entrance opening under the portico by the front door. 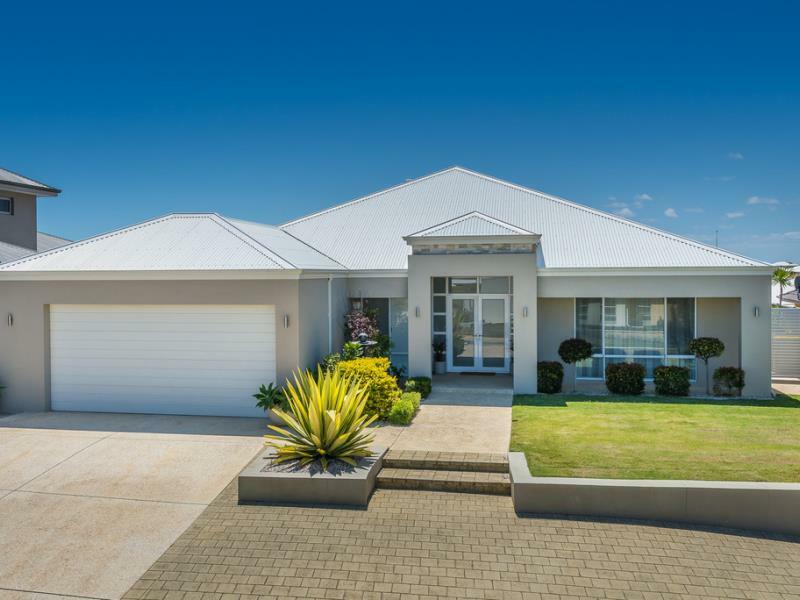 •	Close to Lakeside Joondalup Mall, Currambine Central, some great neighbourhood schools and easy highway access.